One day after the Transportation Security Administration announced its pat-downs would become more rigorous, the new procedure was put into effect Monday at San Francisco International Airport. Some have complained that the new pat-downs go too far while others say it's a necessary evil. The change was made after a Department of Homeland Security study found agents failed to catch 67 out of 70 test attempts to get guns through airport security lines. The new pat-downs include open-hand pats on passengers' private areas, and one advocacy group says it's a bit extreme. "This is not anything that's going to benefit security," said Douglass Kidd of the Passenger Rights Group. "All it does is turn the checkpoint into a place of indecency." An airline security expert, however, told NBC News the new pat-downs simplify rules for agents and make travel safer "... because everybody just has to learn one procedure, one technique, and they don't have to try to make a judgment call as to which one to use," expert Jeff Price said. One couple at SFO who fly frequently between the U.S. and Australia, say they’re OK with the new pat-downs. "It might make people think twice if they're not doing the right thing," passenger Paula Burnett said. The new procedure, which began phasing in last week, applies only to passengers who set off metal detectors, refuse to be scanned and those who spark an alert by canine teams. 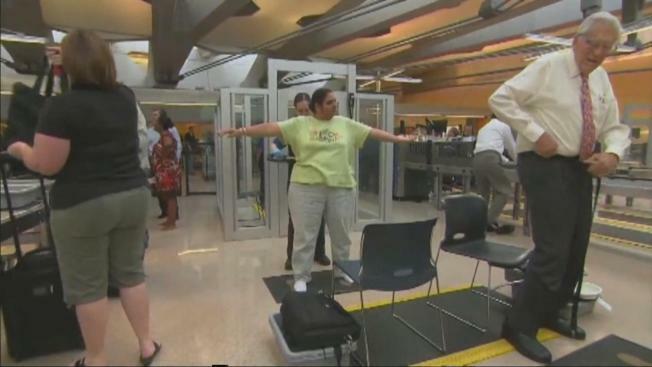 In a statement to NBC News, the TSA said the new procedure "does not involve any different areas of the body than were screened in the previous standard pat-down procedure." But officials admit they'll be more aggressive, making sure weapons hidden in passengers' pants or undergarments don't get through. Of about 100 SFO passengers interviewed by NBC Bay Area on Monday, all but one said they didn't even see a pat-down. That woman, who did not wish to be identified, said the pat-downs caused delays at her departure gate. TSA officials said they will continue to monitor and modify the procedures as needed.